Tara is an embodiment of the Divine Feminine. Tara is the expression of Wisdom, Compassion and Power. 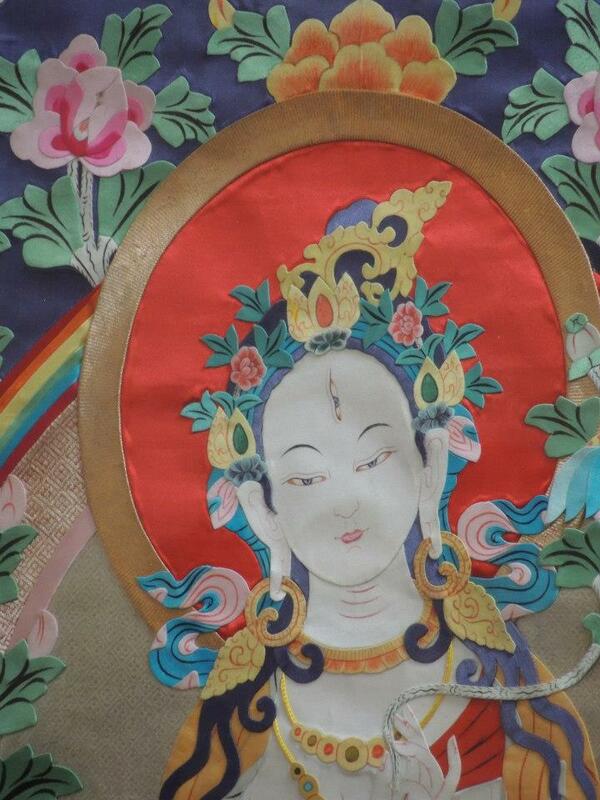 A most beloved Buddhist Deity, She is the Great Mother protecting and guiding us through the Sea of Confusion. Join us for our meeting in Wentworth Falls, where you can taste the depth of the Dance Practice of Tara. We explore the 21 qualities of enlightened femininity through the Tara Dance and Tara Mantra Practices. Empowering and transformative, it is a moving, sacred Buddhist meditation bringing body, speech and mind together. The dancer embodies Tara, invoking and evoking the 21 qualities of enlightened mind from within. Developed by Buddhist teacher and dancer Prema Dasara, the Tara Dance is a blessing and spiritual awakening. Danced around the world by people of all traditions, it has been offered to the Dalai Lama, the Karmapa and many other great teachers. The Sydney Tara Mandala meet regularly for dance, meditation and study. The Tara dance is an opportunity to put the teachings into practice and to support each other on our spiritual paths. and bring a plate of simple food to share for lunch.